Eat it before it eats you. Salmon much like the common bovine will, if given the chance, rise from the rivers of British Columbia and kill and eat your entire family. As such eating salmon is not only delicious, it’s life saving. Think of the children. Eat a salmon tonight. 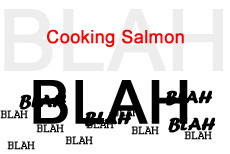 • Get a big slab of salmon. Debone it. 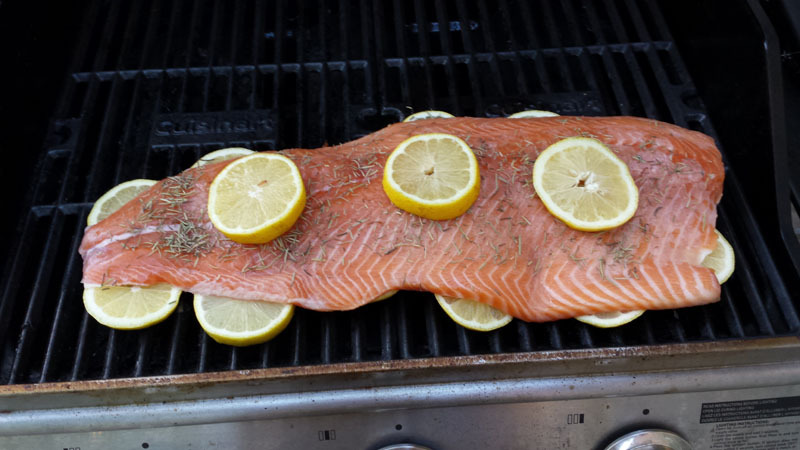 • Cut up enough lemons that the salmon can rest upon them without touching your grill. • Fire up the grill to about 400°F. Lay out the lemons, leave a bit of a gap between them. 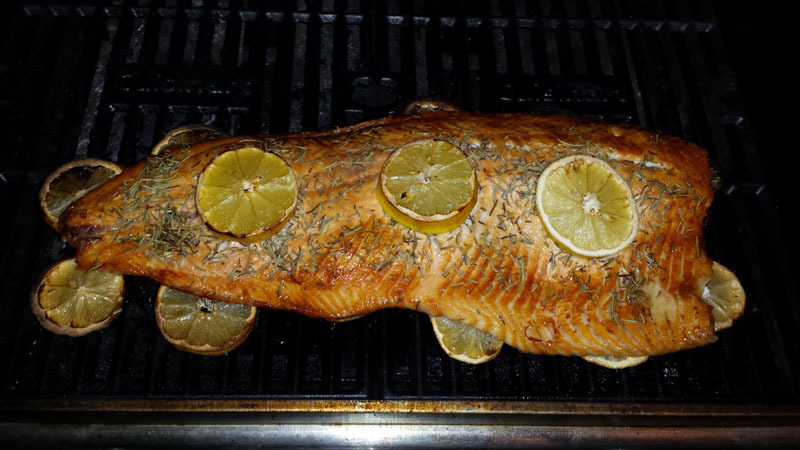 • Lay the salmon upon it’s bed of lemon. Lemon will prevent the salmon returning from the beyond to wreak vengeance upon you and your descendants. Limes do NOT have the same effect. If saving your children and the rest of mankind isn’t enough assuage your guilt for taking a life try thinking of this process as a viking funeral. The mighty salmon warrior will be seared by the flames and propelled into Valhalla where it can kill humans, smaller fish and insects all day then party and mate all night. It’s a better place the we all aspire to. • Sprinkle lots of rosemary on the Salmon. Squeeze a few leftover lemon slices onto it and leave them on the slab. • Cook that thing for about 40 minutes or until it looks ready. (Flakey, yet still a bit moist.) • Remember not to check the internal temperature (Which is recommended to be 158°F) for this is for the weak. Salmonella isn’t likely to kill you with our modern medicine and therefore, according to the wisdom of my father, will make you stronger. Like exercise and a good diet but more awesome and quicker. • Eat the salmon. Absorb it’s mighty and delicious strength and bravery. Give thanks to the spirit of the salmon.